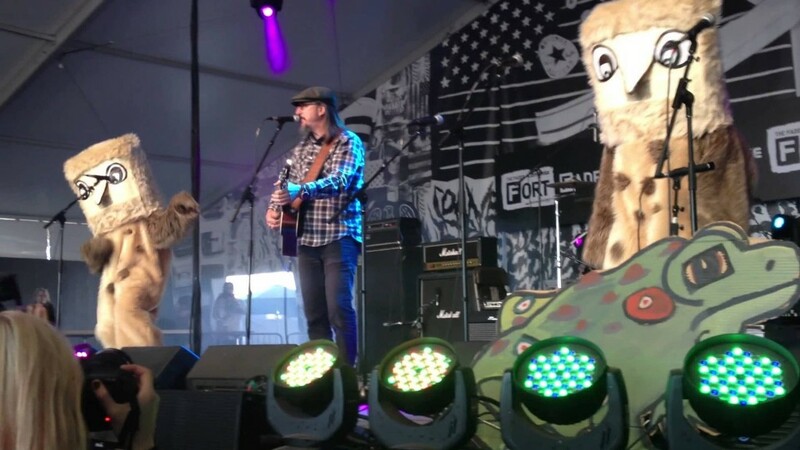 If MyMusicRx has taught us anything with its annual YOU WHO Rock Show For Kids, it’s that music really can be the best medicine – and that Les Claypool really can shred alongside a pair of dancing owl mascots. This year, MyMusicRx is heading down to Austin’s South by Southwest Festival for the third time to put on a rock show for kids with 100% of proceeds benefitting the program’s bedside and online programs for those facing cancer and other serious illnesses. The concert, going down at the Converse Fader Fort on March 19, will feature some big names like Edward Sharpe and the Magnetic Zeros, The Zombies (acoustic), Best Coast, The Heartless “Bathtubs,” Wild Ones, Koo Koo Kangaroo, and many more. 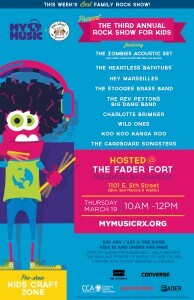 And if last year’s YOU WHO Rock Show For Kids at SXSW – which brought in more than 600 rockin’ moms, dads, and kids, not to mention $10,000 for MyMusicRx – is any indication, it looks like the Fader Fort will be a family hot-spot at SXSW 2015. Behind YOU WHO is Chris Funk of The Decemberists and his wife Seann McKeel. Thanks to their philanthropic work, the concert series has been able to give bands like The Shins, My Morning Jacket, Stephen Malkmus and the Jicks, The Head and the Heart, and a whole bunch of others a chance to try their hand at kid-friendly sets, all the while providing young listeners with unforgettable experiences. All kids 10 and under get into this year’s YOU WHO Rock Show For Kids for free, as well as access to the pre-show crafts zone. Advance tickets for all you older folks are available here for just $20. To learn more about MyMusicRx and all the cool things the program up to, head over here.